Could you please tell me how to fix this? A: You can use icons before each item in the sub-menu. 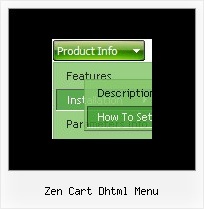 - set icon in the "Item Parameters" window. 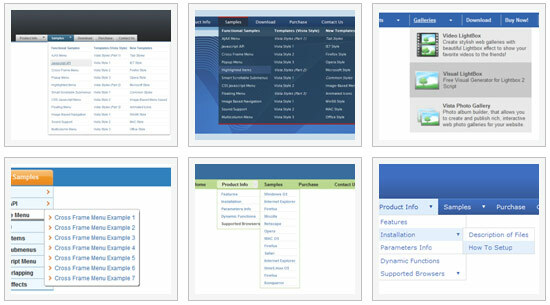 Q: I need the flyout menus in the flash navigation bar to be able to be different widths. A: Actually the submenu width is depend on the item's size. You can alsowrap item's text. You can set exact width for each submenu using IndividualSubmenu Styles. Q: I am trying to have the selected top item in the pop up menu remain on the mouseover event after it is selected. but when i actually linked to different pages it returns to normal. Deluxe Menu has only two states normal and mouseover. Q: Does your cool dhtml menu work on a Mac platform with Dreamweaver? Unfortunately we don't have html version of the Tuner for Deluxe Treeand Deluxe Tabs now. We'll try to create it in the nearest future.